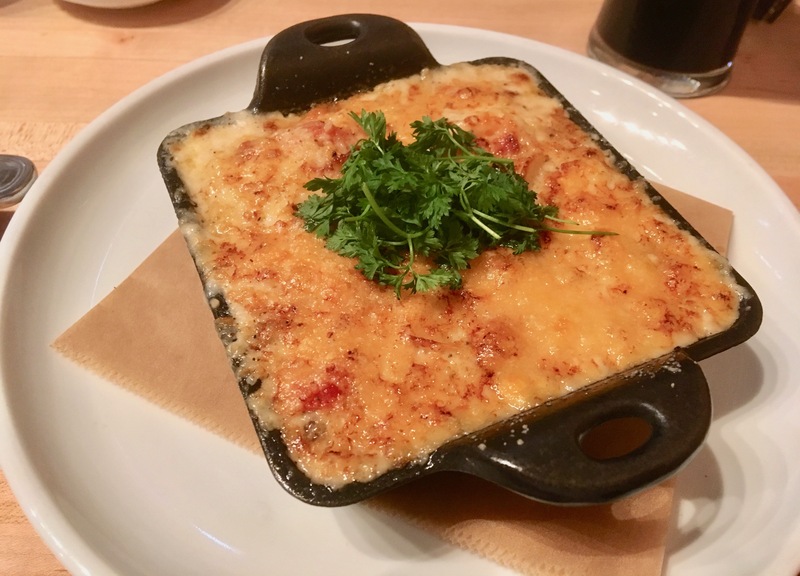 Last week while staying in Bernardsville, NJ we decided to go and try the new Ninety Acres restaurant which was only a ten minute drive from where we were staying. I wanted to sample their extensive wine selection which was partially showcased in a custom wine cellar behind the bar, we decided to take a taxi instead of driving. Because it's a new place and it is located in the middle of a 500 acre property so our taxi driver had some issues locating the restaurant. If the management is reading this I highly recommend putting up some signs off the road. After another ten minute circling in the park with dark and narrow paths we noticed a building with lights and valet attendants in front. Outer building looks like a transformed brick farm house / barn. Once instead you are welcomed by the front desk with a double sided gas fire place. On the right you have the large bar area with dozen or so table and on the left side you find the main dining room. Passed the dining room you'll see the large open kitchen with a small private dining room next to it. It seemed like the main dining area had about thirty tables so it's not a very large place which is a good thing. We started with the Venison Carpaccio and the Grilled Octopus & Littlenecks, both were excellent but I could have few more plates of the Venison Carpaccio, amazing! Then for mains we decided on the Barnegat Lighthouse Scallops and the Slow Roasted Leg of Young Lamb with Brussels sprouts & bacon and macaroni & cheese as side dishes. There were so many great dishes in the menu so it was quiet hard to decide. I kept going back between the scallops, duck and the cod. At the end of our meal our server was kind enough to give a short tour of the Ninety Acres restaurant building starting from the open kitchen, culinary school and the private event areas. Overall we are quiet impressed with the whole experience and we look forward to our return.